Insulation levels are specified by R-Value. R-Value is a measure of insulation's ability to resist heat traveling through it. The higher the R-Value the better the thermal performance of the insulation. What R-Value should my attic have? The standard R-Value can vary depending where you live. For Missouri and Illinois residents the standard R-Value is an R-38. How to check your attic R-Value. To find the R-value of the existing insulation in your attic, multiply the number of inches of insulation by the R-value for the particular type of insulation you currently have. Should I insulate my crawlspace? Yes. A mass amount of heating and cooling escapes through a crawlspace. If your crawlspace is un-insulated you may experience cold floors, drafts, and loud footing when walking. When should insulation be removed? The need for insulation removal is because of water damage from a leaking roof or damaged from animals, such as mice, rats, squirrels, bats, birds or raccoons, all of which will leave behind feces and/or urine which can cause disease and respiratory problems. Insulation removal may be necessary if your home has had any water damage, smoke and or fire damage in your attic or walls. Does my home need roof vents? Yes. Ventilation plays a huge roll in how your insulation works. Proper ventilation allows any moisture collected under your roof to escape, Helping your home to regulate temperatures, and allowing your roof a longer lifespan. Can different insulation be installed over existing insulation? Yes. There is no reason to remove old insulation unless it is damaged by water, smoke/fire, or you have had an infestation by bugs or animals. What is a drill and fill? Drill and fills are in most cases the only way to re-insulate an existing wall. Overtime the exterior walls of a home may need to be re-insulated to reduce heat flow. How to Drill and Fill insulation? Drill and Fill can be applied to the inside of walls filling the cavities with insulation for a more comfortable and energy saving home. Proper installation is required by professional installers. Provides ventilation so the attic can breath. Baffles are installed in all construction procedures. Stapling the baffles on the eves of the home or building allows the air to penetrate up through the attic, also stopping the insulation from blowing around. Eliminates moisture that can otherwise cause mold to grow and wood to rot. What type of insulation is best for my attic? Blown in insulation is typically best for attics. Fiberglass and Cellulose can both be blown in and both provide excellent results. What are the benefits of re-insulating? Energy savings are some of the biggest benefits of installing more insulation in your home, especially if it was built 20 or more years ago. Re-insulating also helps with comfort control in the home, or place of business. Insulation upgrades are one of the only home improvement jobs that will eventually pay for itself over time. Most homeowners see as much as a 20-30% decrease in energy bills. Will insulating my walls help with sound? Yes. Insulation provides an excellent source of soundproofing. There are a many R-values to choose from depending on the thickness of the wall cavity. If my insulation gets wet is it ruined? Yes. Once insulation gets wet it should be removed and replaced. Wet insulation can cause mold growth which can be extremely harmful to health. It is possible that blown in insulation will settle a little. If your insulation has been installed properly by a certified installer to the specified densities, it will not settle. What is the most environmentally safe insulation? If you are wanting environmentally friendly insulation then Cellulose is the way to go. It is made up of Paper products: Cellulose is the major constituent of paper, paperboard, and card stock. Fibers: Cellulose is the main ingredient of textiles made from cotton, linen, and other plant fibers. What are the signs a home needs reinsulating? High energy bills, changing in room temperature, drafts, and heating/cooling systems running continuously are all major signs that its time to re-insulate. Retrofit insulation is an industry term for the upgrade of an existing home's insulation. Insulation is not just for attics and outside walls. 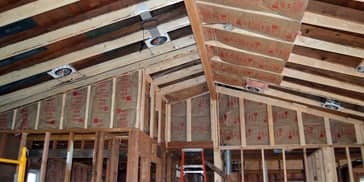 Insulation should also be installed in other areas of your home such as ceilings with unheated spaces, basement walls, floors above vented crawl spaces, cathedral ceilings, floors over unheated garages or porches, knee walls, in between interior walls, and ceilings, or floors for extra sound control. Are there any health or environmental risks associated with insulation? 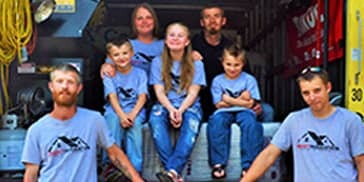 Fiberglass insulation can irritate the skin and eyes, and both OSHA and the EPA have recognized it is a "possible carcinogen", but the American Lung Association has determined it is safe when properly installed. The greatest risk is to those who are installing it. It's a good idea to use goggles, dust masks and gloves when working with it.